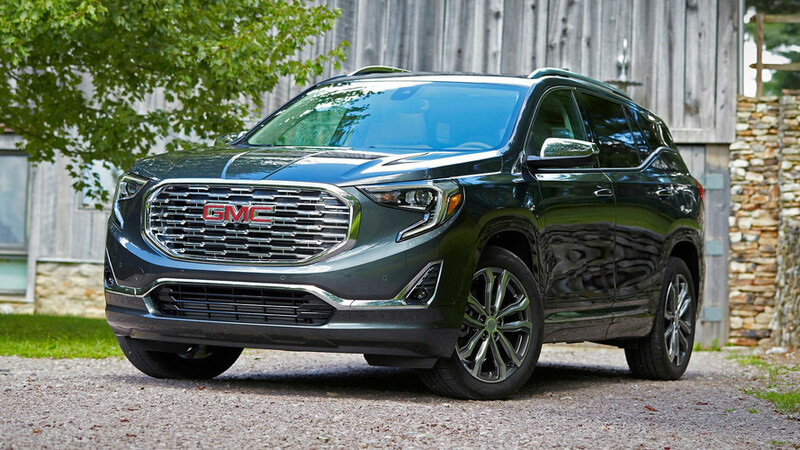 The new Terrain is equipped with three engine options, all four-cylinders, a sea-change for traditionally big-engine GM, which offered a 3.6-liter V6 in the old model. 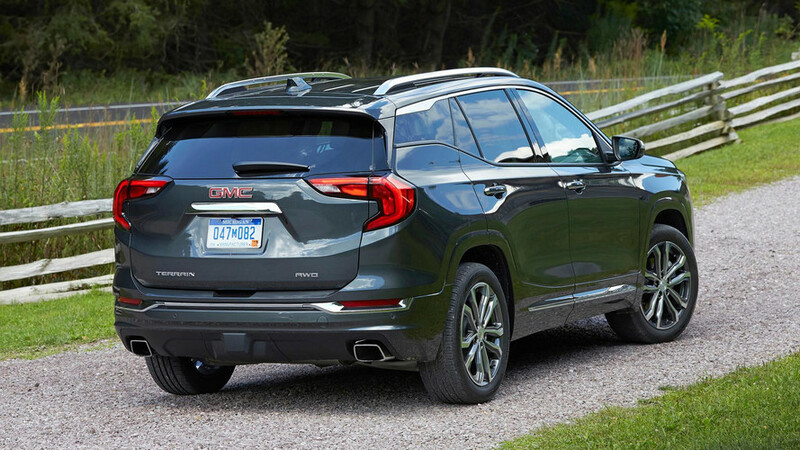 Both the 1.5-liter turbocharged inline-four and the larger 2.0-liter turbo four come standard with GMC’s nine-speed automatic transmission. However, the 1.6-liter turbo-diesel hitches to a six-speed auto. 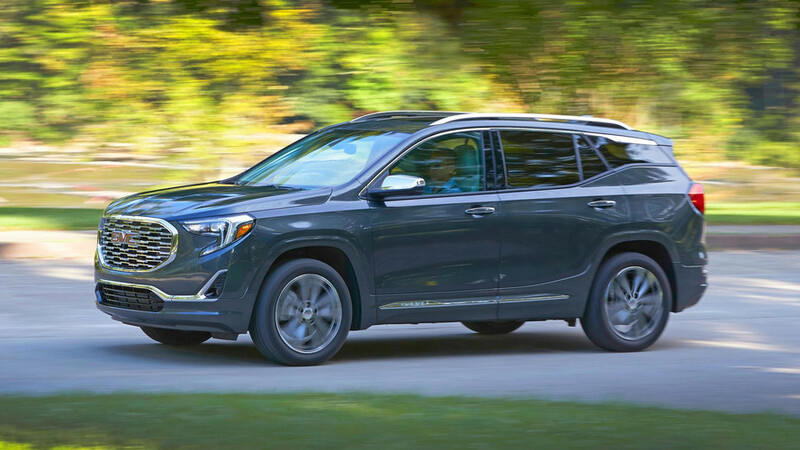 I drove two trim levels, the top-tier 2.0-liter Denali and the base model SLE 1.5-liter. You can’t argue with the diesel's 38-mpg highway rating, and that’s with the AWD option. Neither end of the Terrain spectrum disappoints. 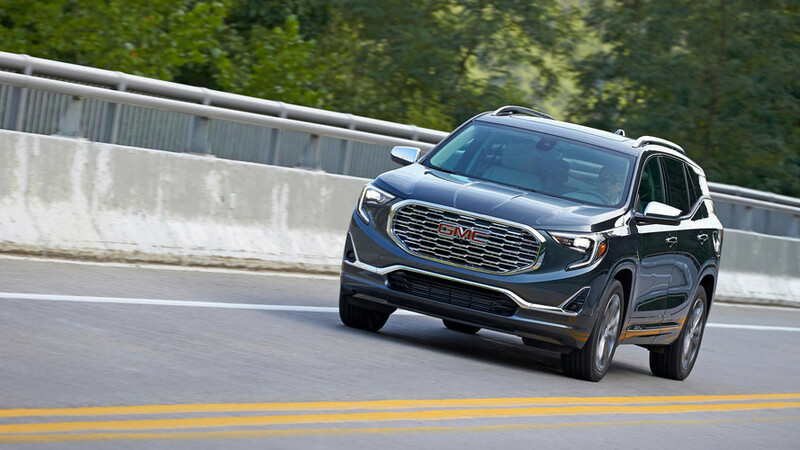 The Denali’s beefed-up powertrain provides quickness and excitement to the tune of 252 horsepower and 260 pound-feet of torque. Even up steep hills, the power is there. The Terrain accelerates exactly when you want it to with minimal turbo lag. This sucker has got some guts. 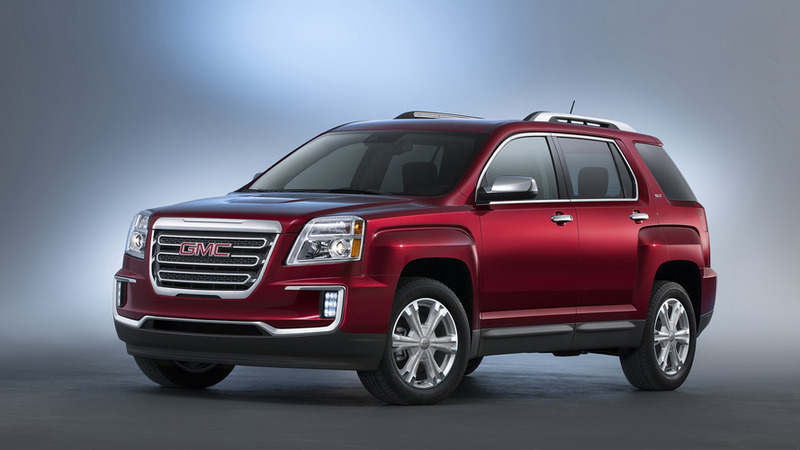 The Denali’s base price is $39,270. My model as tested, with goodies like Skyscape Sunroof ($1,495) and Advanced Safety ($745) and Comfort ($525) packages, comes with a price tag of $43,955. The Terrain Denali delivers the goods. Even the base SLE model 1.5-liter found juice relatively quickly with its available 170 hp and 203 lb-ft of torque. Certainly the nine-speed transmission helps, skipping gears when necessary for improved power at higher revs. 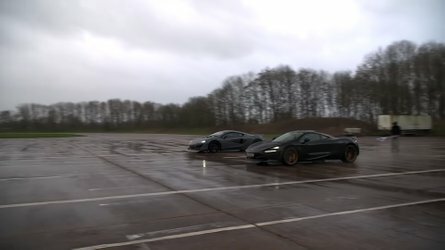 I won’t lie, it’s not as exciting as the larger-displacement engine, but it’s a genuinely fun driving experience, even on its high-volume 17-inch tires and with FWD. 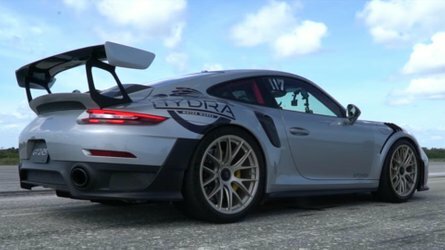 The steering has a nice touch, as it's responsive and surprisingly sporty-feeling. I didn’t drive the 1.6-liter turbo diesel, but I did ride shotgun in it while another journalist drove. While it only delivers 137 hp its 240 lb-ft of torque make it completely capable. Plus, you can’t argue with its 38-mpg highway rating, and that’s with the AWD option. The myriad contour lines and creases, both bold and subtle, and the heavily chromed-out front grille, add up to a lot of eyeball calisthenics. The all-new architecture might be the most impressive thing on this Terrain redo. 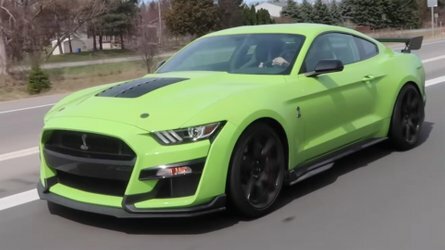 It’s three inches shorter, lighter by close to 200 pounds in its base front-drive form, and has a 34-percent stiffer structure compared with the outgoing model. What that means for drivers is a far better ride, improved handling and maneuverability over winding roads that skirt Pennsylvania’s second largest city, and significantly less body roll mid-turn. Maybe GMC learned a thing or two watching Steelers wide receiver Antonio Brown cut through the opposing defense? Or maybe they're just good engineers. From far away this baby is a looker. Get a little closer, and I’m nitpicking a bit, but it gets a tad busy, especially at the front end. 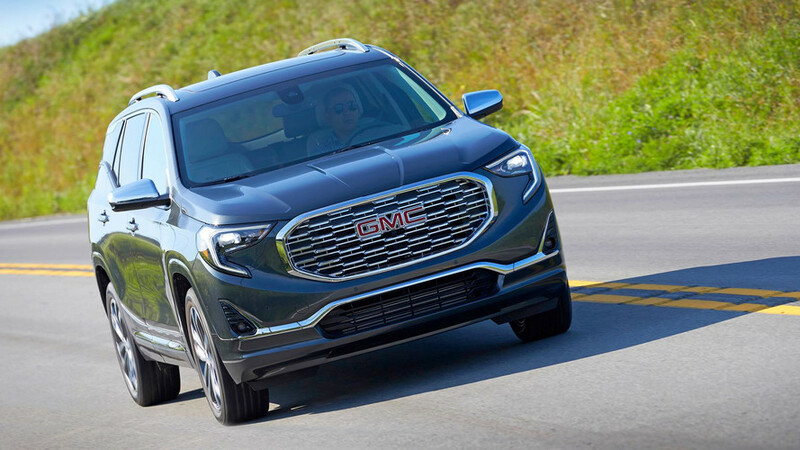 It’s muscular and assertive, to be sure, but the myriad contour lines and creases, both bold and subtle, and the heavily chromed-out front grille, especially the Denali’s specific version, add up to a lot of eyeball calisthenics. The rear of the car is more of an exercise in restraint. The floating roofline is modern, if not 100-percent original (check out the Nissan Murano). It works though, and gives the compact sport-ute a more athletic but lux feel without bulk. There are still plenty of angles and edges in the sheet metal, including a Mona Lisa-type grin that stretches from taillight to taillight, which give the rear interest without over complicating things. 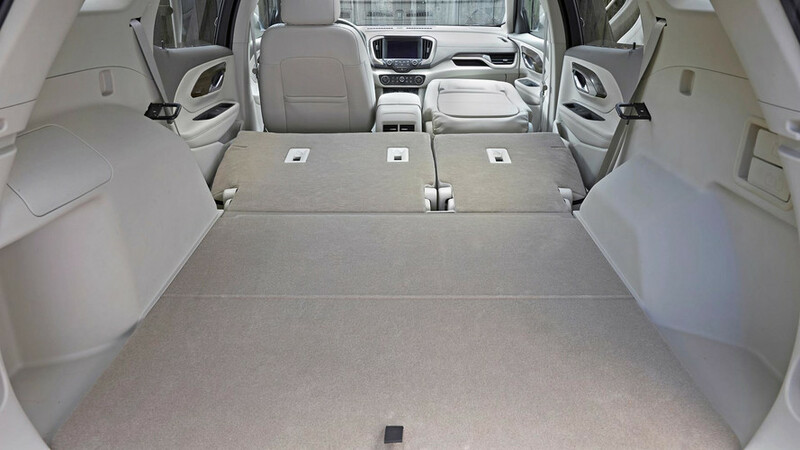 Max cargo room is 63.3 cubic feet which fits in somewhere between the larger-capacity Honda CR-V and less-capacious Jeep Cherokee. I especially like the sporty looking dual exhaust on the AWD versions. 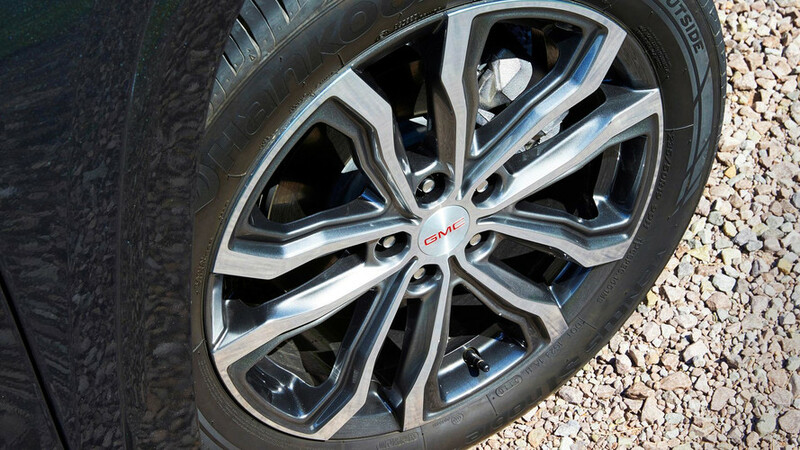 Put the 19-inch wheels on the Terrain (as found on the Denali trim) and this is a genuinely good-looking ride. 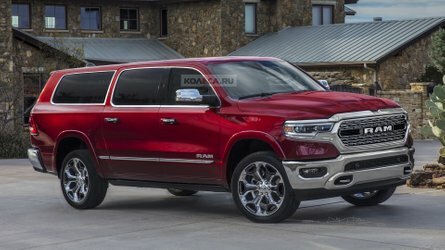 Personally, I think the Graphite Gray paint does the design the best justice as it mutes the busy-ness of the front end and deals out a cohesive look. The redesigned interior is very well executed and finished. A leather-wrapped steering wheel and the real aluminum trim are nice to see instead of so much plastic. And while some of the faux wood-grain options are more believable than others, the overall look is polished and upscale. 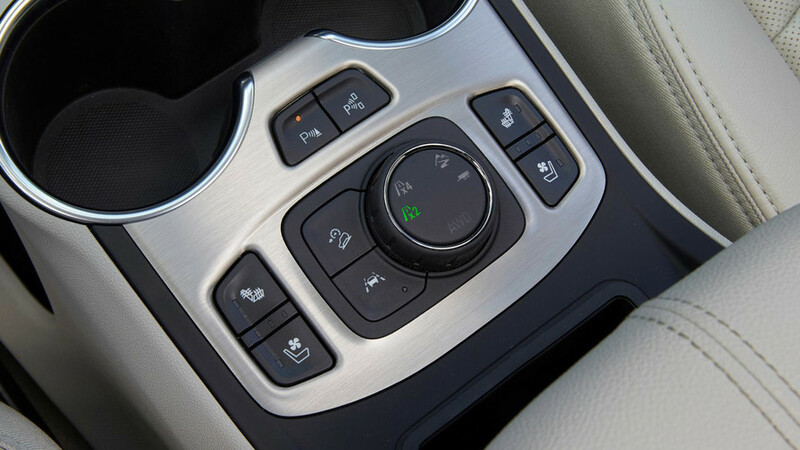 The rethought center stack and console are streamlined and more stylish thanks to the all-new pushbutton shifter that resides just below the seven- or eight-inch infotainment screen (depending on trim level). 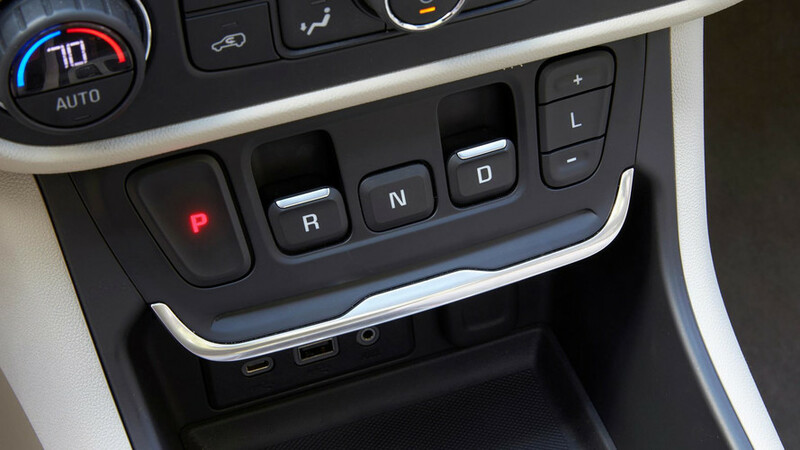 This new shifting mechanism’s location initially takes some getting used to, but it affords less clutter without the shift lever, making room for passenger storage underneath the console and east-west coffee-cup holders. Coffee confusion is a thing of the past! (Yes, that’s a thing.) Overall the interior is sleek and looks as if it belongs inside a far more expensive car than the base model’s $25,970 sticker price asks. This new shifting mechanism’s location initially takes some getting used to, but it affords less clutter without the shift lever. The cabin is also pleasantly serene. 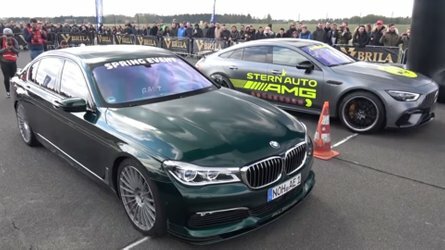 The standard active noise cancelling works like headphones on a noisy plane and the diesel has additional sound damping under the hood. Regardless of trim level, cloth or leather, the front buckets are supportive and comfortable. The rear has enough room for three across as long as they’re not trying out any Martha Graham choreography (yes, she’s from Pittsburgh, too), and even the person who draws the short straw and ends up in the middle has decent legroom because there isn’t a camel hump between the foot wells. 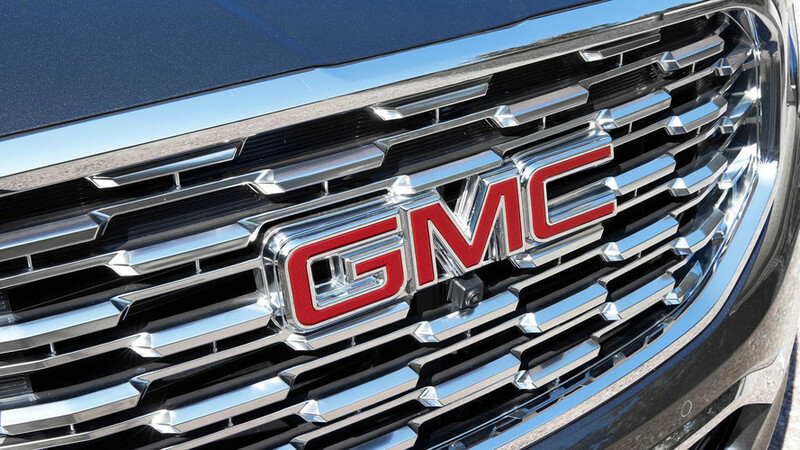 While the interior cargo space isn’t category leading, I tip my Pirates cap to GMC creativity. The front passenger seat folds down completely flat, allowing the Terrain to swallow up eight feet of steel pipe from front to rear. So if you’re carting around your kayak, intent on gliding under one of the city’s 446 bridges over its three rivers, you’re going to have plenty of room. It better be a one-seater kayak though, unless you split the rear seats and your co-pilot sits behind you. 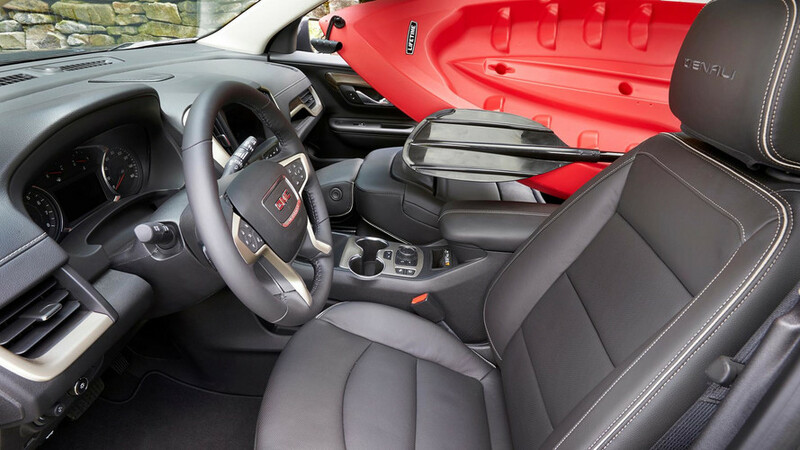 With just the rear seats down, max cargo room is 63.3 cubic feet which fits in somewhere between the larger-capacity Honda CR-V and less-capacious Jeep Cherokee. Every safety feature and then some is available, including surround vision, which gives you a cool bird’s-eye 360-view, as if you have a drone flying over you. A safety alert will sound once you arrive at your destination if you’ve opened your back door before setting off – good so you remembered you’ve put something in the backseat, especially a child or dog, just in case anyone forgets they’re in tow. There are four USB ports, two in front and two in the rear, so everyone can plug in, or at least the three in the back can take turns. In the Denali, wireless charging is available. If both Flashdance and The Dark Knight were filmed in Pittsburgh, how could this city possibly disappoint? After driving it for a day in the sixth most livable city in the United States (at least according to BusinessInsider.com), I feel exactly the same way about the 2018 GMC Denali: it doesn’t disappoint.